Jupiter plays an important role in the orbital dynamics of many celestial bodies in the solar system especially for Mars whose axial tilt varies over 45 degrees on timescales of 100,000s of years and whose eccentricity varies on similar timescales. Obviously, Mars’ climate is greatly influenced by these changes. Jupiter’s influence on Earth’s axial tilt could be similar if not for Earth’s large moon while Earth’s eccentricity would be more variable if Jupiter’s orbit were closer to Earth. Using The Goddard Institute for Space Studies ROCKE-3D (Way et al. 2017) planetary General Circulation Model (a GCM derivative of GISS’ ModelE used for Earth Climate Simulations) we investigate what would happen to the climate of an Earth-like world if Mars did not exist, but a Jupiter-like planet was much closer to Earth’s orbit. 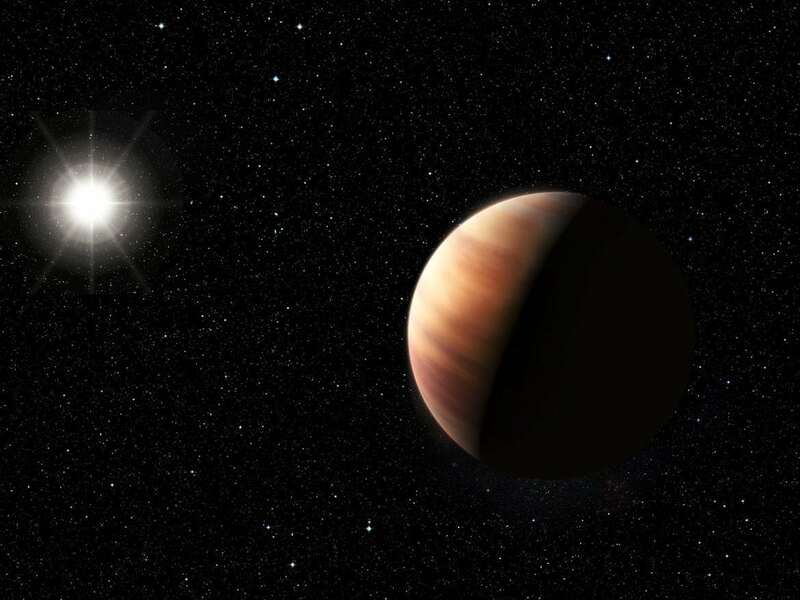 Similar exoplanetary systems are likely to be found in the future and the climate stability of such Earth-like worlds is of interest to Astrobiologists. The orbital eccentricity variations of the Earth-like world used in the GCM were calculated with an analytical orbital evolution model (Georgakarakos et al. 2016). The GCM simulations utilized a fully coupled ocean and the longest simulation ran for 7000 years, possibly the longest such simulation at this resolution (4×5 degree horizontal resolution, 20 atmospheric layers, and 13 ocean layers) ever done for another planet and one of the very few ever done for any planet with a fully coupled ocean. This overturns the notion that these types of simulations can only be used to look at snapshots (~100s of years) of an exoplanet’s climate and opens the door to the potential characterization of a discovered exoplanet’s habitability over a full Milankovitch cycle (~40,000 years for Earth). The exoplanet community mostly avoids fully coupled oceans because they believe they are too computationally expensive and time-consuming to run. Yet they are possible using lower resolution simulations (where warranted) such as these on as few as 23 high-performance computing cores. We used Intel’s Haswell chipset. Of course, an ensemble of such simulations could take advantage of a high-performance computing platform such as NCCS as we have done herein. The fully coupled ocean is important because it moderates the extremes in climate that one would otherwise obtain with simpler ocean models. For example, at the highest eccentricity (0.283) this planet at closest approach (periapsis) is receiving 1.8 times the sunlight that Earth receives and at its furthest 0.61 times (apoapsis). Yet this world does not go into a moist or runaway greenhouse (think Venus!) at closest approach nor does it ever freeze over at its most distant (think Mars!). If this world received either of those amounts of sunlight continually they would wreck the climate from the standpoint of habitability (the persistence of surface liquid water). This shows how considering the ocean makes a big difference in the assessment of habitability. This research is also the most recent demonstration of the NExSS “system science” approach that couples tools from different disciplines. Here we used an Earth climate model driven by a planetary orbital evolution model. Something that had not been attempted previously because of the computational and run-time costs mentioned above. Way, M., and Georgakarakos, N. 2016, Effects of Variable Eccentricity on the Climate of an Earth-like World, Astrophysical Journal Letters, 835, L1.